Rory Stewart MP has spent time at the Penrith base of the local charity Mountain Heritage Trust, where Chairman Jeff Ford showed him some of the charity’s archive, and explained about the work it does in promoting awareness of Britain’s mountaineering and climbing history. The Mountain Heritage Trust was founded in 2000 with the aim of recording and preserving Britain’s rich heritage in the fields of climbing, mountaineering and mountain culture. Second to none in terms of breadth, Britain has a proud legacy in the Alps, the Himalaya and the other great mountain ranges as well as closer to home on British rock. Pioneers in techniques from the earliest days, Britain’s climbers and mountaineers have also led the way in preservation and conservation of traditions, culture and mountain heritage. The Trust’s governing body – its Patrons include Joe Brown and Sir Chris Bonington – all firmly believe that mountain heritage matters now, and for the future. Currently on show at Keswick Museum are two new exhibitions – Kangchenjunga: Five Treasures of the High Snow, which opened on 16th May 2015 and will be on display for twelve months, and Wainwright: A Love Letter to the Lakeland Fells. 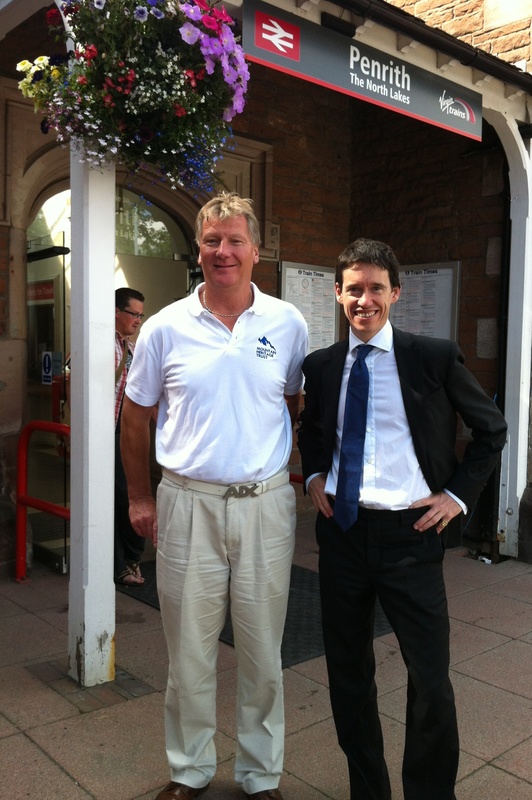 Rory Stewart MP with Jeff Ford, Chairman of the Mountain Heritage Trust, outside the charity’s Penrith office at Station House.